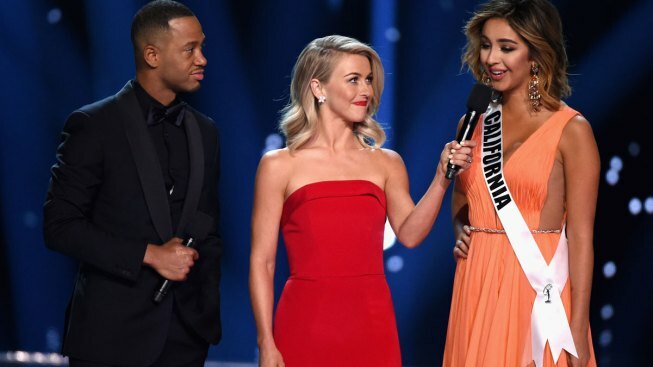 Miss California USA 2016 Nadia Mejia (R) competes in the interview portion as hosts Terrence J (L) and Julianne Hough (C) speak onstage during the 2016 Miss USA pageant at T-Mobile Arena on June 5, 2016, in Las Vegas, Nevada. Miss California USA is poking some fun at herself after flubbing a question about the nation's economic gap during the Miss USA pageant. Nadia Mejia was widely mocked on social media after stumbling, closing her eyes and pausing when answering the question Sunday about economic inequality. 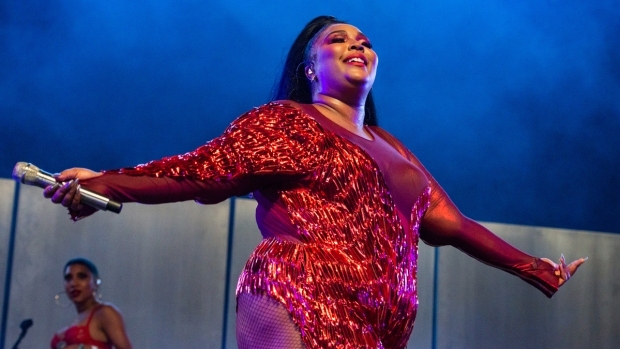 "I think that the rich need to be able to be giving and I think the poor need to work hard and I think the middle class need to come together and find an in-between," she eventually said. Mejia answered her critics on Instagram, writing that she was praying to God for the right words and he answered, "It'll take longer than 30 seconds to answer that babe." She also posted a video of her singing "I don't know about the economy" to the tune of the Backstreet Boys' "I Want It That Way." The 20-year-old model is the daughter of 1990s one-hit-wonder singer Gerardo, known for "Rico Suave." Miss Hawaii Chelsea Hardin, who came in second to winner Deshauna Barber of the District of Columbia, punted when asked who she would vote for among the likely presidential candidates, Republican Donald Trump or Democrat Hillary Clinton. The question was framed with Clinton's likely status of being the first woman nominated by a major political party in the race for the White House. Hardin said there was no way to correctly answer the question during the beauty pageant and that gender doesn't matter when deciding the president. Many on social media criticized the question from Harper's Bazaar editor Laura Brown, saying that asking a contestant to reveal who she is planning to vote for is inappropriate. Brown defended herself on Twitter, saying that she asked the question she was given. She says Miss Hawaii "answered beautifully."